Tyler of Everide just posted a new video (see below) with some really epic scenery and riding in Maui with some perhaps more philosophical than literal discussion on "slowing down." I thought there was a lot more meat to that topic, especially for us big bike riders. Too often I see riders who ride way too fast; too fast for the conditions; too fast for their ability. I'm guilty of that sometimes myself. Speed oftentimes masks bad riding which is something I was taught by Jimmy Lewis. If you can do it slower (which is harder) then that builds the skills you have to have in order to do it faster later. Especially in dual sport where the aim is to ride there, get your dirt fix on, then ride home, slowing it down means a bit more insurance that you're going to make it back in one piece. In some cases like deep sand on a heavy bike, it is easier to go faster but if you ever want to get better at riding deep sand, it does help to try and go back and forth through it slower rather than faster, trusting your balance and practicing the use of your throttle and body position. Big bikes also don't have the suspension travel of the smaller bikes and you have to slow down before you encounter the kinds of obstacles like washouts, rocks, etc... that the smaller bikes typically can just go over without as much trouble. Slower isn't always better. Sometimes I see people riding way too slow out of fear/lack of experience and that can make it a lot harder/less safe. I'll see someone struggling in the sand and I'll say something like "I'm a more experienced rider but it would be just as difficult for me to do it that slow." We had a rider on another trip who just didn't have the momentum to get over some tricky rock sections and he fell more times than I could count. We kept telling him he needed more momentum to get him through that stuff, but we're talking like 12 mph instead of 5. I see guys ride way too fast on the pavement as well, like in sharp corners with knobby tires that are under-inflated. I did a trip last year where I just hung back while a few others chose to "measure their manhood" by who could ride the fastest. There were a few low sides in sandy corners that were completely avoidable and could have ruined everyone's trip had it turned out worse. On another trip, we were riding pavement through a snaking river canyon road and my rear tube melted from all the heat from the tire flexing (too fast for what little air I had in them). I'll leave the philosophy of slowing down and smelling the roses to Tyler. He's much better at it than I am! 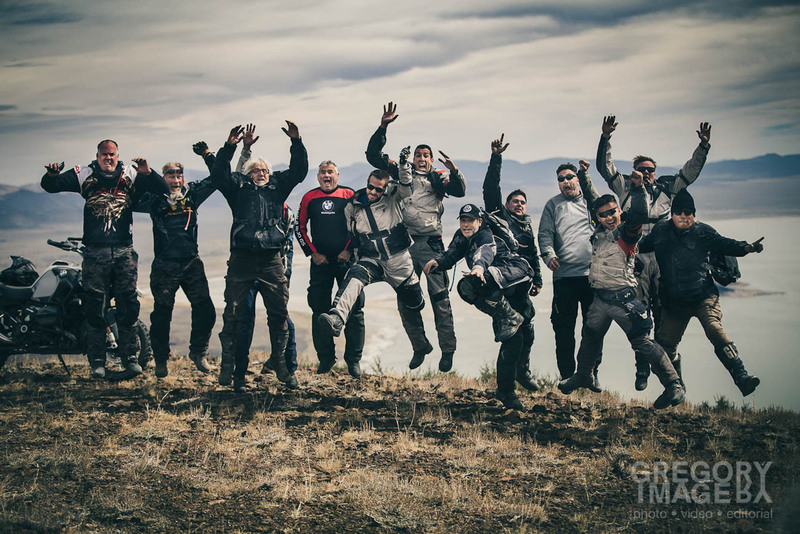 Next entry XLADV: Adventure Motorcycle Media Playa!